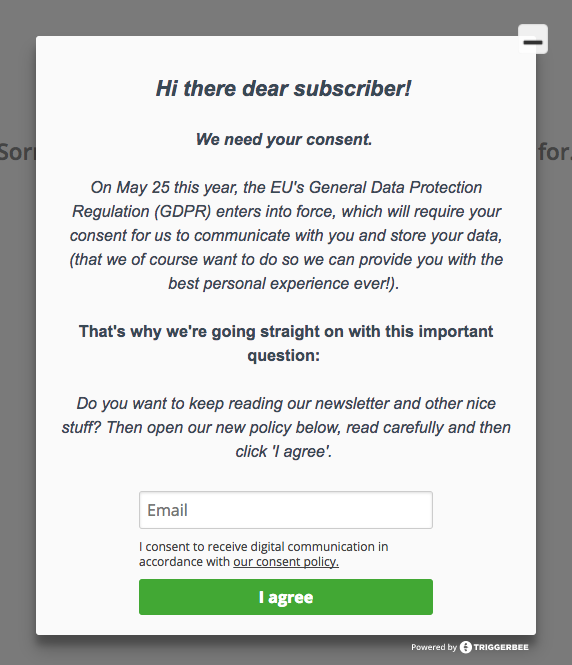 The new EU's General Data Protection Regulation (GDPR) enters into force in may but if you want to start selecting consent from existing subscribers (or "known visitors" as we say in Triggerbee terms) this is an example and instructions for how you do the setup. 1. 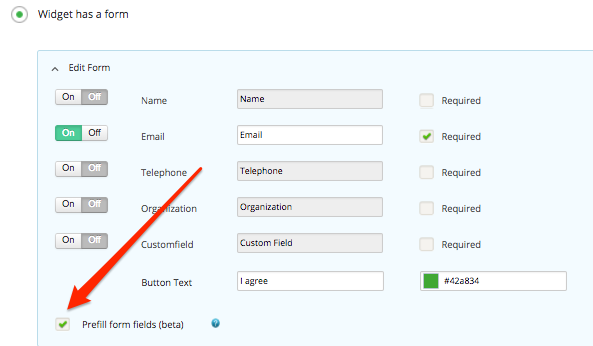 Navigate to publish, choose your layout and template you want for your widget. 2. Start writing your content, your purpose with it should be very clear to the visitor. We need your consent. On May 25 this year, the EU's General Data Protection Regulation (GDPR) enters into force, which will require your consent for us to communicate with you and store your data. That's why we're going straight on with this important question: Do you want to keep reading our newsletter and other nice stuff? Then open our new policy below, read carefully and then click 'I agree'." 6. Choose audience: "Show only for known visitors". (Known visitors means identified contacts, read more here about understanding visitors, events, and sessions in Triggerbee). 7. Next is that you don’t want the visitor that gave a consent to get the widget, so then you need to exclude the ones gave a consent. 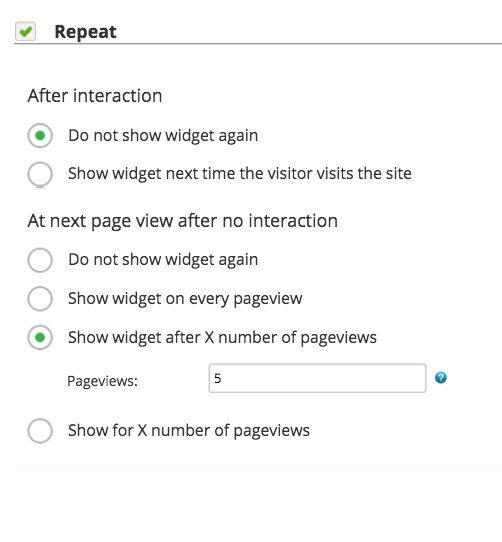 So go to the Audience part and click in the box that you want to show the widget only for a specific audience then add "Gave consent” under "Visitors without the goals" in the dropdown menu. 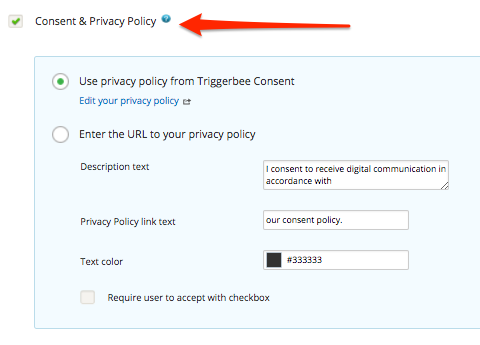 Which Consent information does Triggerbee send to my email system? Goal "Gave Consent" - What does that mean?